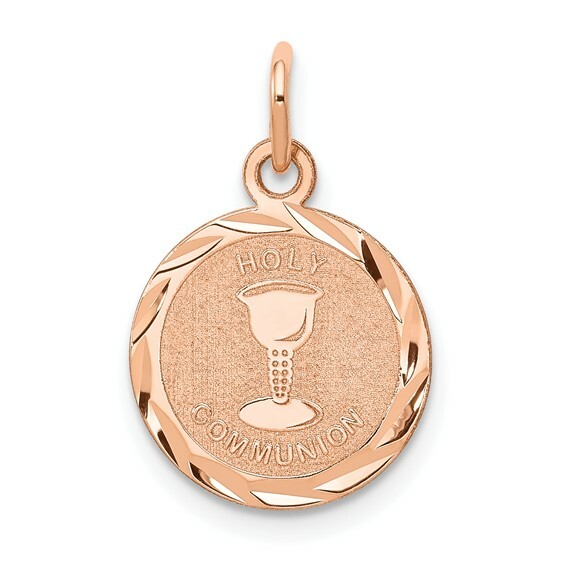 This very small Holy Communion charm is made of 14k rose gold. Item measures 1/2 inch round without loop and bail. The body and blood of Christ celebrated at Eucharist recalls the unity of Christ with the Church. This sacrament is also known as First Communion. Weight: 0.6 grams.